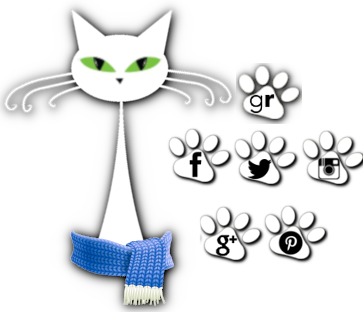 herding cats & burning soup: Spotlight: An Heiress at Heart by Jennifer Delamere + giveaway! 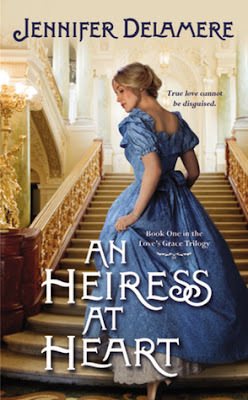 Spotlight: An Heiress at Heart by Jennifer Delamere + giveaway! A youthful indiscretion has cost Lizzie Poole more than just her honor. After five years living in exile, she’s finally returning home, but she’s still living a secret life. Her best friend, Ria’s dying wish was for Lizzie to assume her identity, return to London, and make amends that Ria herself would never live to make. Bearing a striking resemblance to her friend, and harboring more secrets than ever before, Lizzie embarks on a journey that tempts her reckless heart once again . . . Isn't this book just gorgeous?! I read it this past week and it's really a wonderful story and was so fun to read. It had a storyline I'd not read before and found very interesting. Lizzie, the heroine, has returned to London to fulfill her best friend's dying wish: Taking over her friend's identity and mending the broken relationships Ria had left behind years earlier when she fled London to be with the man she loved. An Heiress at Heart is Jennifer Delamere's debut novel and I gotta say she's one I'm really looking forward to reading again. I loved the characters, the premise and how things all came together. Grand Central Publishing is offering one print copy to one of our US followers! Would you ever hide your identity and be someone else? I love that story line!! Same here, I have never heard it before. It sounds like a great read. I love that you bring us different books like this!! Thanks!! If I didn't have kids, I would love to become a new person. It sounds so exciting and thrilling. I would love to read to see how it ends. I love finding new authors and books to read. This sounds like a great book. Cant wait to start reading. I'd love to be someone more interesting than I am! I tend to be really shy and inhibited, so for me, the idea of being someone else is really intriguing :). The book sounds great, and you are right, the cover is really pretty! Oh good point! Would definitely be a different experience depending on the reason. I am not sure I would ever hide my identity. When I was in high school, I knew 2 girls (identical twins) who by choice went to separate high schools, and they would switch up and go to the other's school for fun occasionally. LOL. Oh how funny! I bet they were a handful for their parents! Interesting choices :) A PI would be kinda fun I think. Not sure about those 6 kids! ::shudder:: Maybe 2? LOL. Isn't it a pretty one? Hope you enjoy it! this story will tug at the heartstrings - then I expect a very satisfying HEA. It definitely didn't disappoint Di :) Loved the ending. I suppose I might if the circumstances called for it, and who I'd be would depend on those circumstances. Basically, though, I'm happy being me. If I didn't have kids, I would want to move to a new place and start over!